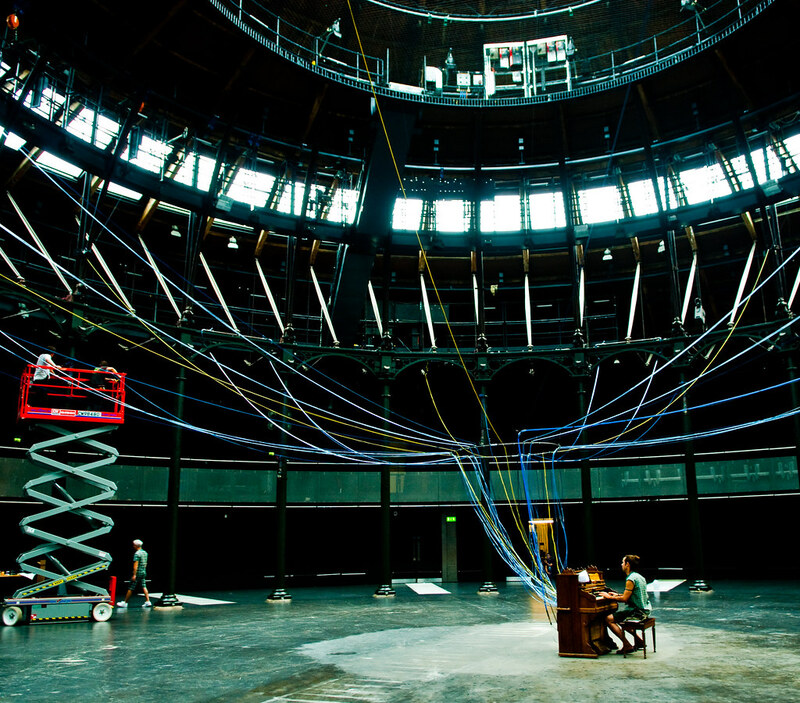 My friend Mark McNamara is in London for the rest of the month working on David Byrne’s sound installation Playing the Building at the Roundhouse in Camden. 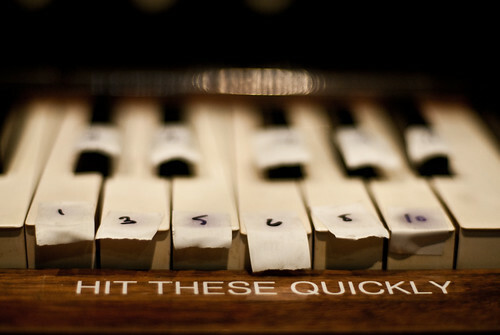 The installation consists of an old organ that is hooked up to actually play the building. The keys are wired up to motors that vibrate the girders, solenoids that ping the iron columns, and air jets that blast and make flute like noises. I spent two afternoons at the Roundhouse this week photographing the installation process. To see all of my images click here and here. Please join me in experiencing this art work on the evening of 20 August.